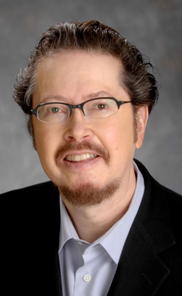 Stuart Biegel is a longtime member of the faculty at the UCLA Graduate School of Education & Information Studies and the UCLA School of Law. He is a recognized expert in the fields of Education Law and Technology Law, and is the original author of the casebook Education and the Law (4th ed. 2016), West Academic Publishing (American Casebook Series). The book -- co-authored with Robert Kim and Kevin Welner -- focuses on the broad range of developments at both the K-12 and higher education levels, and also includes major coverage of technology issues, privacy law issues, and disability rights. Biegel has served as Director of Teacher Education at UCLA, Special Counsel for the California Department of Education, and the Independent State Monitor for the U.S. District Court in the expansive federal consent decree focusing on the San Francisco public schools (SFNAACP v. SFUSD). The following sections contain biographical highlights and key achievements in his two areas of expertise. Biegel began his career as a classroom teacher in Los Angeles, teaching both elementary and secondary classes in public and private schools. He then joined the teacher education faculty at the UCLA Graduate School of Education, where he served as assistant director of the teacher education program, director of the program, and a member of the leadership team that helped create Center X. At UCLA, Biegel combined his background in education with his more recent legal training to develop an expertise in Education Law. He published numerous articles in this area, and organized several major statewide conferences that brought together academics and practitioners to analyze the implications of recent developments. His education-related publications include an exploration of Fourteenth Amendment rights (Cornell Law Review), an overview of church-state issues (American Journal of Education, University of Chicago), a retrospective on bilingual education (Chicano-Latino Law Review), and an analysis of court-mandated education reform (Stanford Journal of Civil Rights & Civil Liberties). Biegel has taught law and education courses to doctoral students at the UCLA Graduate School of Education & Information Studies since 1987, and to second and third-year law students at the UCLA School of Law since 1989. He has served as a consultant to the City of Baltimore in their successful school finance lawsuit against the State of Maryland (1995-1996), and has consulted more recently for the American Civil Liberties Union of Northern California (2006-2007), the National Education Association (2008-2010), and the U.S. Commission on Civil Rights (2011) on issues relating to equal educational opportunity for marginalized and disenfranchised youth. Biegel is a recognized pioneer in the area of technology law & policy. He was one of the first faculty members nationwide to identify the potential of the Internet for both the legal and the education communities. In the mid-1990s, he taught the first official “cyberspace law” courses ever offered on the UCLA campus. He has written extensively on Internet-related issues, and has spoken at conferences and major universities across the country and overseas. In late 2001, Biegel published a book on cyberspace regulation with MIT Press. The book, entitled Beyond Our Control? Confronting the Limits of Our Legal System in the Age of Cyberspace, has won three awards, including Best Information Science Book of the Year (ASIST 2002). It was released in paperback in 2003. Biegel has taught technology-related courses in both the law school and the information studies department on topics that range from online regulation and Internet Law generally to a focus on future technologies and an exploration of the ever-widening area of Privacy Law (online and offline). He was also a longtime member of UCLA’s Advisory Board on Privacy & Data Protection. · Reassessing the Applicability of Fundamental Rights Analysis: The Fourteenth Amendment and the Shaping of Educational Policy after Kadrmas v. Dickinson Public Schools, 74 Cornell Law Review 1078 (1989). · Public Funds for Private Schools: Political and First Amendment Considerations (with Amy Stuart Wells), American Journal of Education (University of Chicago) (May 1993). · School Choice Policy and Title VI: Maximizing Equal Access for K-12 Students in a Substantially Deregulated Educational Environment, 46 Hastings Law Journal 1533 (1995). · The Wisdom of Plyler v. Doe, 17 Chicano-Latino Law Review 46 (Special Issue on California Proposition 187) (1995). · New Directions in Cyberspace Law, Los Angeles & San Francisco Daily Journals (January 1996-August 1997). · Policy Issues and Prospects: Regarding the Potential Breakup of the Los Angeles Unified School District (with Theodore R. Mitchell, S. Carnochan, L. Reynolds, & J. Slayton), Urban Education Studies Center, UCLA Graduate School of Education & Information Studies, July 1997. · The Consent Decree Monitoring Team Reports on Desegregation & Academic Achievement in the San Francisco Unified School District, Submitted to the U.S. District Court, Northern District of California (1997-2005). · Beyond Our Control? Confronting the Limits of Our Legal System in the Age of Cyberspace, MIT Press (2001). · Education and the Law, Thomson/West (American Casebook Series) (2006). · Court-Mandated Education Reform: The San Francisco Experience and the Shaping of Educational Policy after Seattle-Louisville and Brian Ho v. SFUSD, 4 Stanford Journal of Civil Rights & Civil Liberties 159 (2008). · Education and the Law, Second Edition, West-Thomson/Reuters (American Casebook Series) (2009). · The Right to Be Out, University of Minnesota Press (2010). · The Privacy Conundrum, Public Education, and the Search for an Elusive Middle Ground, Columbia Teachers College Record, December 1, 2010. · Unfinished Business: The Employment Non-Discrimination Act (ENDA) and the K-12 Education Community, 14 NYU Journal of Legislation & Public Policy 357, Special Issue on the Legislative Legacy of Senator Edward Kennedy (2011). · Education and the Law, Fourth Edition, West Academic Publishing (American Casebook Series) (with Robert Kim & Kevin Welner) (2016).